Planning a trip with your kids to Singapore? It is one such travel destination which is perfect for family holidays. It is safe, green, clean and friendly country packed with a wide range of fascinating attractions. It has something for every kind of a traveler starting from globe trotter to honeymooners and family travelers. It is one of the most family-friend destinations in the world. 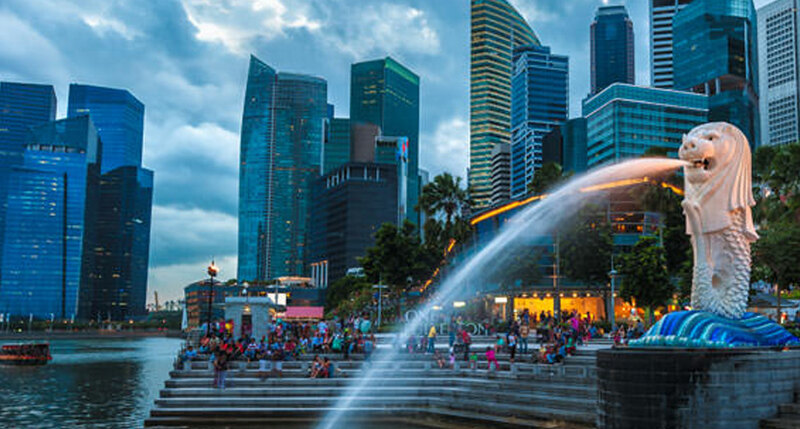 From fantastic transport facilities to buggy friendly pavements, spacious hotels and cuisine from different parts of the world (both vegetarian and non-vegetarian), friendly people, Singapore has it all to make your family trip enjoyable. It encompasses three major ethnicities in the country- Chinatown, Little India and Kampong Glam. From delicious food to video shops, toys shops, spices, saris boutiques, electronics, traditional eateries etc are the highlights of the place. The colorful ambiance will surely attract children too. Singapore’s Night Safari is one activity which is loved by all. It is the first nocturnal zoo in the world. It takes you on a tram ride through a park housing nocturnal animals (including threatened species) in their natural habitat. Offering sheer pleasure, Sentosa Island is full of enchanting attractions. It can be reached by a causeway from the mainland and you can even plan to stay there at one of the amazing hotels. Explore the underwater world by strolling in an 83 m long tunnel which has fishes, sharks, eagle rays etc swimming around you. Butterfly Park and the Insect Kingdom is another attraction there. It is a wonderful museum with fourteen galleries displaying interactive exhibits which your children would love to explore. Botanic Garden Offering freshness and beauty, Singapore's Botanic Gardens are a big hit with adults and kids alike. Here you will find various species of flowers, plants, and trees, enjoy lunch in lovely lawns and even feed the fish. Sprawling across 20 hectares, the Park boasts of around 600 bird species. Its major highlights are Bird Discovery Centre, African Waterfall Aviary, Lory Loft Aviary, Southeast Asian Birds Aviary, and the award-winning African Wetlands. Take a ride on a traditional bumboat on the Singapore River and catch lovely views of the city. Singapore Discovery Centre Your children will love spending time at this fantastic museum where one can learn about the country’s past, present and future in a fun, hands-on way. Your children can record their own news broadcast, fly a helicopter in a 4D simulation ride and experience the life of an astronaut. Snow City Have loads of fun and adventure at this indoor snow center. Here you can indulge in activities like snow tubing, skiing, snowboarding, explore an igloo, snowball fight in the play area etc. Visit this largest water theme park in Singapore for the thrill, fun, and enjoyment. Explore a wide range of water activities with your children at the park. They will love it! Don't even give a second thought to traveling to Singapore with your family, it’s going to be fun and your kids will enjoy to the hilt!